There is no better way to unwind after a stressful few days than with a glass of wine and a little fresh air. My fiancé and I both arrived home stressed and on edge on Thursday after work. 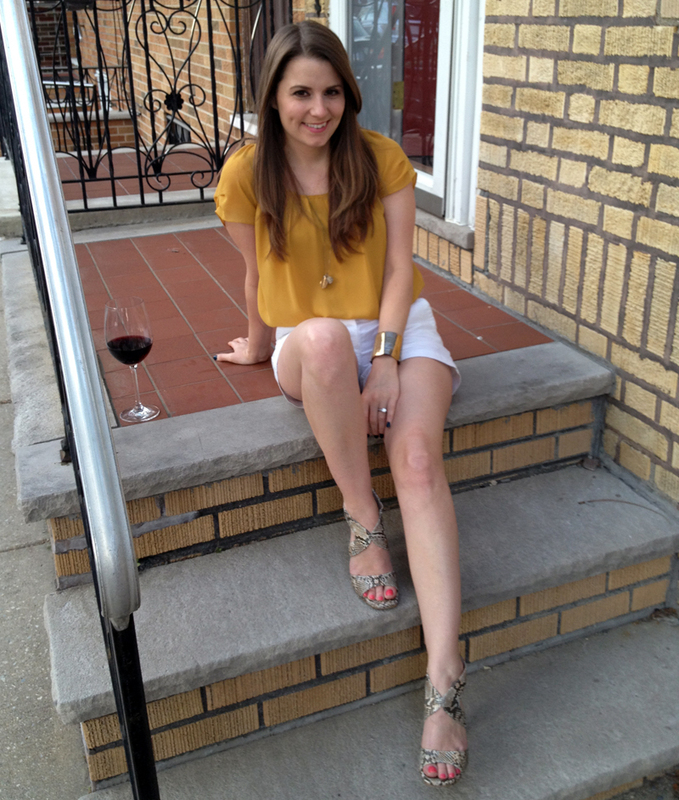 So we grabbed some wine and took a seat on the stoop to enjoy the warm weather. Meanwhile, he snapped some pics of my new snakeskin heels and favorite colors of late: dandelion and gold. Cheers to a happy, relaxing weekend!